Have you been wanting more from your car audio system? Trying to pack a little more punch when playing your favorite songs? Do you really want to feel your music, not just emotionally, but physically? Then you need to invest in some quality subwoofer. These bass thumping speakers will give you the boom you need to fully appreciate those lowest lows in your favorite music. There are a lot of different characteristics to consider when deciding on what subwoofer you want to install. Some people want the best sound quality no matter what and will shell out however much they need to get it. Other people want something durable that will last for a long time through a lot of use. Others still just want something cheap and easy to install. Whatever you are looking for, we hope this list will show you exactly which 10” subwoofers are best for your needs. 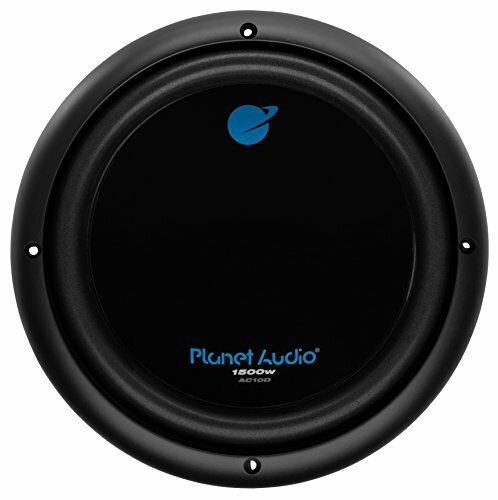 The Planet Audio AC10D 10” subwoofer is an inexpensive option that makes sure it does not sacrifice any power. The 1,500 wattage powers the bass so that it thumps hard, and the dual voice coil design promotes peak efficiency. It needs to be broken in, but the Planet Audio has a strong 3 year warranty, so do not worry if something happens to it early on while you are still figuring it out. 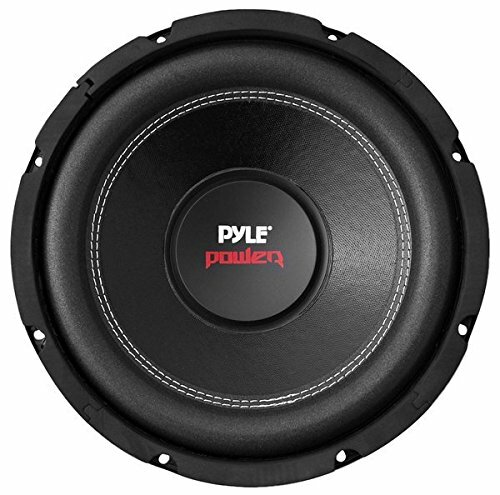 The Pyle PLPW10D 10” subwoofer is another cheaper option that is still capable of producing high quality sound. The Pyle has high sensitivity and a high power level, meaning you will get thumping bass and exquisite sound. That makes it a great bang for your buck buy. The only issue is that, depending on the type of enclosure you use, the sound might not reflect the Pyle’s capabilities, so make sure you have the right set up to get the most out of this sub. 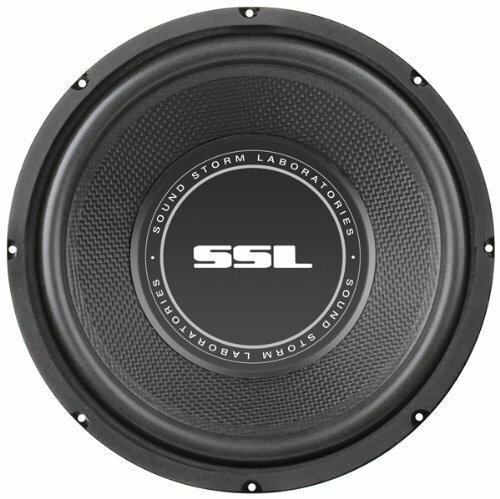 The Sound Storm SS10 10” subwoofer also is a great option for those with a smaller audio equipment budget. It also comes with a three year warranty to help bring peace of mind to those worried about wasting their money on a faulty sub. It has a lower power level and limited frequency compared to some other 10” subs, but the sensitivity is high enough to help balance out the sound and still produce high quality bass. The Pioneer TSW261S4 is a fantastic sub when it comes to sound quality. It has a high power level, high sensitivity, and a good frequency range that reaches into those lower end sounds. 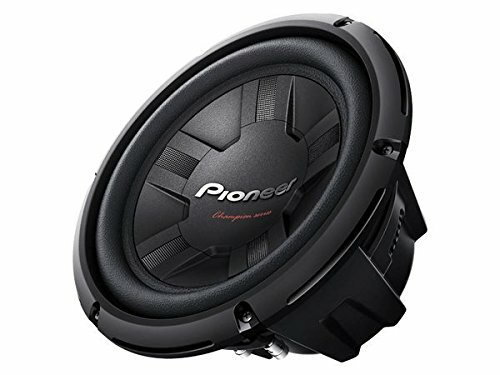 The Pioneer is fairly big and heavy for a 10” sub, but this bulky option is up there with the best of them when it comes to sound, without being overly expensive. 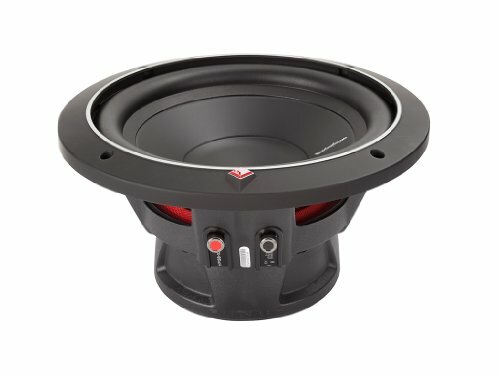 The Rockford Fosgate R1S4-10 Prime 10” subwoofer is great deal for all you bargain hunters out there. This package comes with two relatively inexpensive subs that do a great job at complimenting the other sounds with bass. The Rockford has a comparably low power level when matched up with some other subs. However, it still produces quality sound, even if it does not overwhelm with bass like some other subwoofers can. 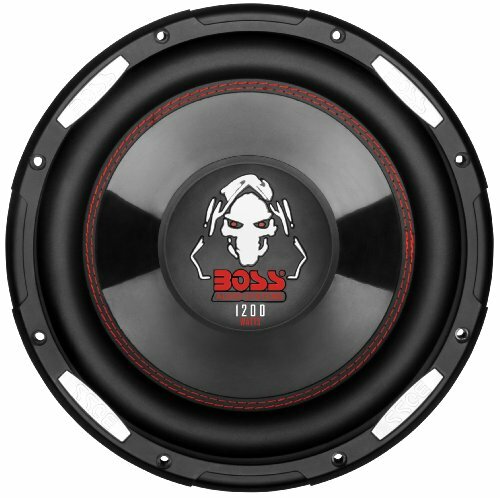 The Boss CH10DVC 10” subwoofer provides another great bargain. This deal also offers two subs with very high power levels, that when added up can blow other vehicles out of the water. The Boss has a limited frequency range that prevents it from reaching some of the lower, grumbling tones, but it still provides tons of boom for those trying to shake their rearview mirror. The BOSS Audio P100F 10” subwoofer is a great deal on some powerful bass. The low price and 3 year warranty makes this almost a risk free investment, not that you are likely to be disappointed at all. The BOSS has a limited frequency range that cannot reach some of those lower, deeper tones, but its bass still thunders – after it has been broken in, of course. As long as you follow the instructions, you will have an incredibly powerful sub that will last for a long time. 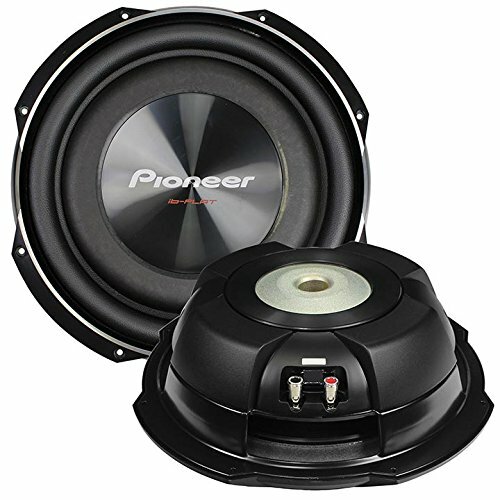 The PIONEER TS-SW2502S4 10” subwoofer is a fantastic combination of powerful bass and easy installation. It has a shallow mount that helps it fit into most enclosures without fear of it being too close to the back walls and corrupting the sound. The smaller, shallower size might keep it from packing as much punch as some larger, deeper subwoofers, but it still has a very high power level and its design allows it move more air to help create louder and deeper bass. The Rockford Fosgate P1S4-10 Punch P1 SVC 10” subwoofer is one of the most well-built, durable subs around. Its Kevlar reinforced materials and topflight cooling system creates an incredibly strong subwoofer that can hold up against just about anything you throw at it. While it may have a lower power level compared to some other 10” subs, the Rockford has VAST technology which is used to increase the surface cone area up to 25 percent. This creates stronger bass than would normally be achieved from its current power level. It also can be slightly adjusted after being mounted, meaning you can direct the sound directly where you want it to play. 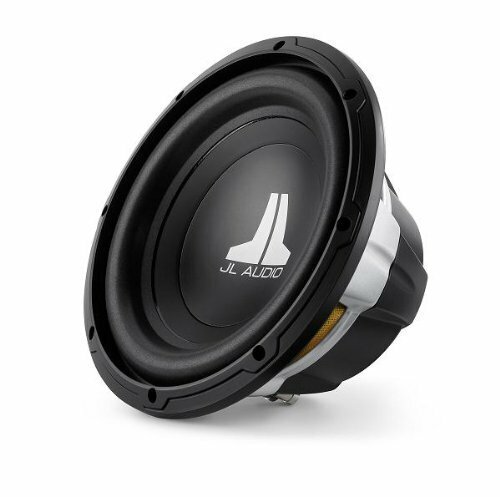 The JL Audio 10W0V3-4 10” subwoofer is a durable option that still sounds excellent. It is made from high quality parts that, when coupled with its elevated frame cooling system, allow the sub to work well for a very long time. While it does not have the highest power level, it is still able to produce extremely deep and clear bass for its size. It is on the pricier end, but the JL offers some of the best sound and highest quality materials, making it well worth the price. There are a lot of things to consider when choosing the right 8” subwoofer, and it can get very confusing to decipher all the different technical terms. Sometimes it feels like you need an advanced physics degree just to get some extra bass in your car. So what should you be looking for in a subwoofer? The main things to pay attention to are power, sensitivity, frequency, impedance, durability, and size. Power in subwoofers is very important if you are trying to achieve that classic, earth-rattling bass. The power level refers to how much power the subwoofer can handle. The higher the power, the more bass you are going to get out of your subs. The power is measured in watts (w), and any sub with over 1,000 watt capabilities will be able to give you that powerful thump you desire. However, it is important that your sub is hooked up to an amp that can handle its power. If you have a 1,200 watt sub hooked up to a 350 watt amp, you will not be able to take your bass to those extreme levels you are looking for. That is why it is important to have an amp that has equal (or ideally greater) wattage to your subs so you can fully take advantage of your equipment. Impedance is the measure of electrical resistance in the subwoofer, measured in ohms(Ω). You want less resistance, so you should be looking for subs with low ohms. This allows it to run more efficiently, using the power more effectively. Durability is obviously important for anything you buy, but it is especially key for subwoofers because of how much stress all that thunderous bass puts on them. That is why it is important to make sure that the subs are made of quality materials so that they do not crack or blow right when your favorite bass drop is about to hit. It is also important to know if your subwoofer needs to be broken in. Some subs can handle the stress right away, but if yours needs to be broken in and you crank everything up to 11 right away you can ruin the expensive piece of equipment you just got, or at least shorten the lifespan significantly. Subwoofer size is important for a variety of reasons. The most obvious reason is that your subwoofer needs to fit the size available in your vehicle, otherwise it will not fit and it will be a waste of money. Installing subwoofers in your vehicle can be very difficult, so unless you are a particularly handy person who knows there way around their car, you probably want to make sure that your subwoofer is easy to install and fits well. You should also pay attention to the depth of your subs, because they need at least .75” of space from the back wall to be able to produce the right sound. Size is also important for sound. Bigger subs produce louder, more powerful bass, so if you are really trying to shake things up you should aim for bigger sizes of subwoofers. Deciding on the right 10” subwoofer can seem like a lot at first. Finding that perfect sub that hits the sweet spot of all your various audio needs often seems impossible. But with this helpful guide you should be able to find a subwoofer that not only meets your needs, but also you will love and use it for years to come. Whether you want to shake the mirrors of your car or just want a little bit extra oomph in your tunes, any of these subwoofers would work excellently in your vehicle. The only question is which one works best for you.